Since 1996, our fire prevention experts provide commercial, industrial and residential solutions for all your needs. Learn more about our team who is dedicated to your safety. 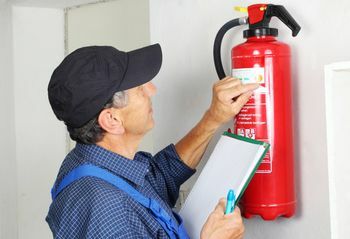 We offer fire extinguishers, alarms, lighting units and more. Our prevention professionals can be reached at any moment. With over 30 years of experience, Pyromateck meets all your needs for fire prevention in Gatineau and the surrounding areas. Our goal is first and foremost to help the community prevent fires. We therefore serve a broad customer base in the commercial, industrial and residential sectors in the Outaouais and Ottawa regions. 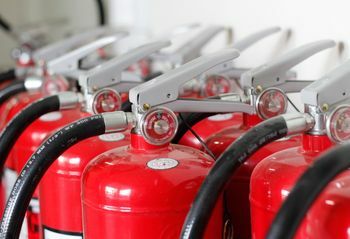 Our core business is the sale and maintenance of fire extinguishers, emergency lighting and CO2 fire suppression systems. In addition, we offer a range of ULC-approved products from reputable brands. Our qualified personnel work in accordance with standards established by the NFPA, ULC and local fire service departments in order to provide optimal solutions. Our fire prevention professionals respond to emergency calls at any time of day or night. With Pyromateck, you benefit from fast and personalized services for enhanced protection.